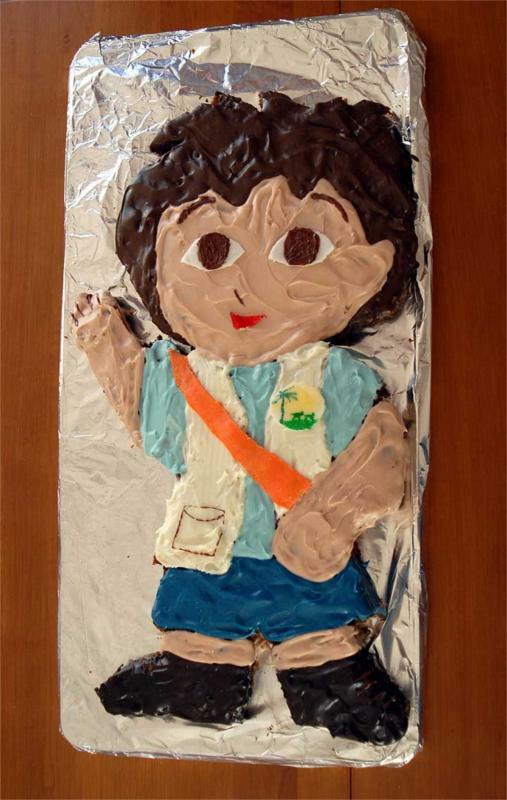 Pardon this off-topic post, but today is my son Luke’s 5th birthday and my wife Jenny baked this awesome Go Diego Go! cake. Took 5 under 5 to see Alvin and the Chipmunks yesterday too! Technorati tags: Go Diego Go! Wow 5! Happy Birthday Luke!! Did you prepare a speech? Happy Birthday Luke! My son got a TMNT cake for his 5th bday last summer. But I didn’t bake it myself. Nice job! My son says there’s too many people and not enough chipmunk singing in the movie, but he gave it thumbs up (I would have rather watched Shrek for the millionth time). Many happy returns of the day to Luke. When are you going to give us also some cake?